Linear Technology announces the LTC3119, a synchronous current mode monolithic buck-boost converter that delivers up to 5A of continuous output current in buck mode from a wide variety of input sources, including single- or multiple-cell batteries, unregulated wall adapters as well as solar panels and supercapacitors. The device’s 2.5V to 18V input voltage range extends down to 250mV once started. The output voltage is regulated with inputs above, below or equal to the output and is programmable from 0.8V to 18V. User-selectable Burst Mode® operation lowers quiescent current to only 35µA, improving light load efficiency while extending battery run time. The proprietary 4-switch PWM buck-boost topology incorporated in the LTC3119 provides low noise, jitter-free switching through all operating modes, ideal for RF and precision analog applications that are sensitive to power supply noise. The device also includes programmable maximum power point control (MPPC) capability, ensuring maximum power delivery from power sources with high output impedance or photovoltaic cells. The LTC3119 includes four internal low RDSON N-channel MOSFETs to deliver efficiencies of up to 95%. Burst Mode operation can be disabled, offering low noise continuous switching. 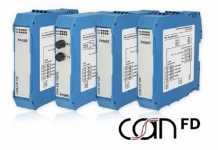 External frequency programming or synchronization using an internal PLL enables operation over a wide switching frequency range of 400kHz to 2MHz, which allows for a tradeoff between efficiency and solution size. 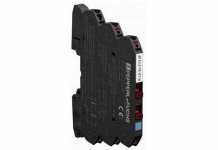 Other features include short-circuit protection, thermal overload protection, less than 3µA shutdown current, and a power good indicator. 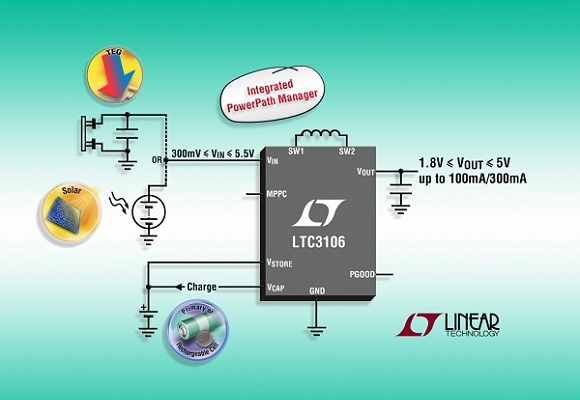 The device’s combination of tiny externals, wide operating voltage range, compact packaging, plus low quiescent current makes the LTC3119 well suited for RF power supplies, high current pulsed load applications, system backup power supplies, and lead-acid battery to 12V conversion systems. The LTC3119 is available in thermally enhanced 28-lead 4mm x 5mm QFN and 28-lead TSSOP packages. E- and I-grade devices are specified over the –40°C to 125°C operating temperature range, H-grade from –40°C to 150°C, and MP-grade from –55°C to 150°C. E-grade pricing starts at $7.15 each in 1,000-piece quantities for both packages. All versions are available from stock. For more information, visit www.linear.com/product/LTC3119.